This is a new initiative that recruits, trains and organizes children and their folks to visit the homes for the elderly in our area. Teaching a respect, a reverence, and a sensitivity towards the older generation is not only deeply embedded in Judaism. It may very be the bedrock of our living tradition that stretches back over thirty centuries. The kids learn invaluable life skills. And they feel good about how they can bring joy to the hearts of the older generation. Contact Rabbi Lapin for scheduling and details. 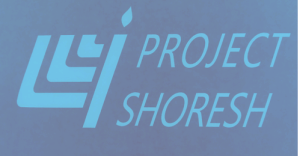 Project Shoresh at Epoch- This Sunday!